My personal take on Infrastructure and Platform Coolness!! Oracle Cloud Infrastructure: How old can you go? Read all about my attempt to run old-skool Microsoft Windows 2003 on OCI and find out it is actually supported by Oracle! It turns out that Oracle provides “best effort” support on ANY OS you bring to OCI! Import VMware Virtual Machines with high performance para-virtualized drivers. The updated version of the OCI Manager iPhone app got approved by apple again, with some nice new features like support for multiple OCI profiles, more details on instances and an improved UI. Check out the DEMO VIDEO! Want to go hands-on with OCI? 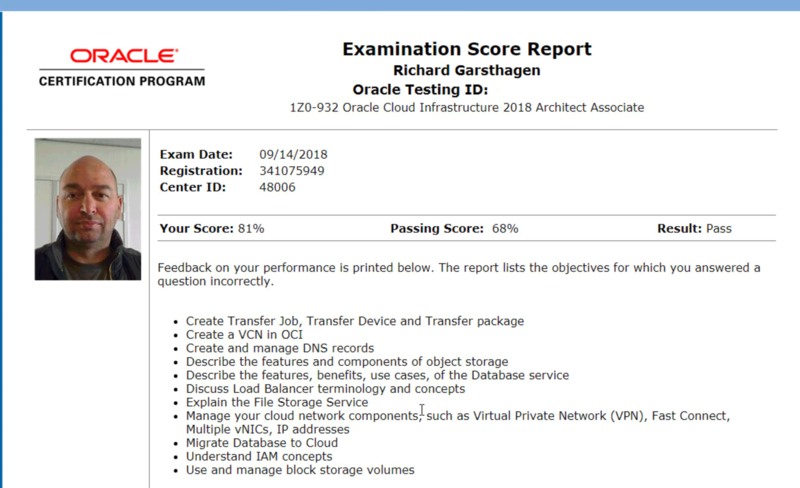 Join any of the OCI Quickstart training sessions, includes hands-on exercises and provides a high-level overview of Oracle Cloud Infrastructure services and features.